MORE than 10 people have been injured following a crash during the Prologue stage of this year’s Dakar rally on Saturday. 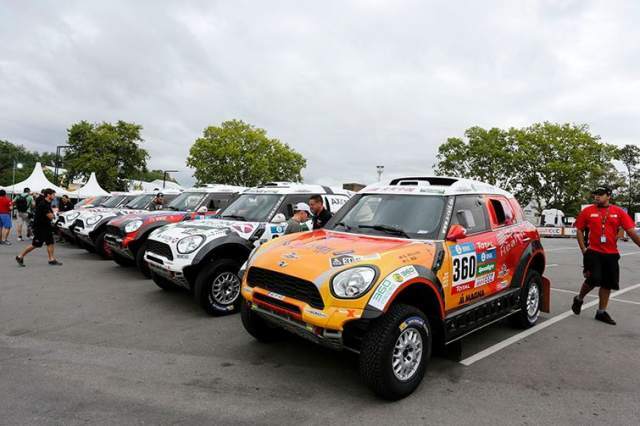 The incident happened in the Argentinian capital Buenos Aires after a Mini Cooper driven by the Chinese pairing of Guo Meiling (the first Chinese woman to compete in the Dakar) and her co-driver Min Liao left the road and collided with the crowd. Children and a pregnant woman were among several injured, along with a man and his son, who were taken to hospital with chest and head injuries. The incident was followed by the cancellation of the first stage (from Buenos Aires - Villa Carlos Paz) because of bad weather. It’s very early days yet but at the moment, factory Honda rider Joan Barreda Bort (who was in some of Honda’s Africa Twin promo videos) is top of the bike rankings.